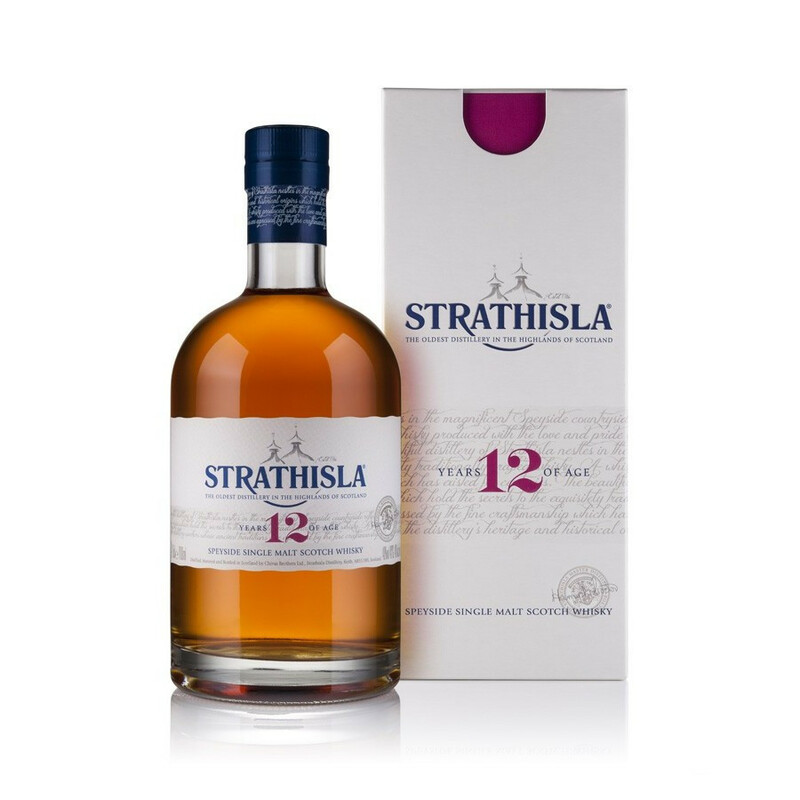 Created in 1786 by John Taylor, Strathisla is the oldest Speyside distillery. Its spirit is well-known by whisky lovers. A great Speyside Single Malt, Strathisla is famous amongst whisky lovers. It has flavoursome notes of dried fruits, orange peels, dark chocolate and grains. It is a lovely whisky, used in the 12 Year-Old Scotch Blend Whisky Chivas Regal as the main malt. Strathisla was created in 1786 by John Taylor, it is the oldest Speyside distillery, the heart of whisky in Scotland. The distillery uses clear water from the famous source Fons Bulliens, known for its purety, and makes a single malt that has aged in sherry casks. Colour: golden with amber glow. Nose: delicate, dry with an oaky touch. Palate: balanced, mellow, a flavoursome combination of Sherry, honey and dried fruits. Gold Medal, International Spirits Challenge 2008. 87/100, Jim Murray Whisky Bible 2008.